As summer draws on, temperatures rise. Grass withers and rivers run dry. Inevitably, fires kindle and burn through the scorched grass and trees. 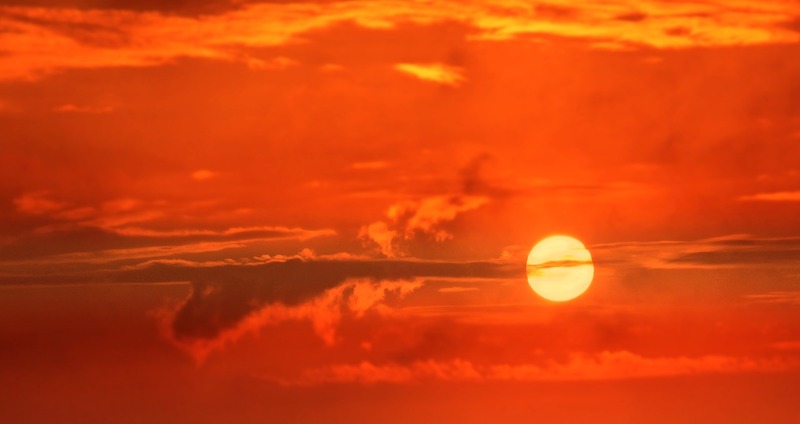 This year's summer has created many casualties in European countries, which have witnessed abnormally high temperatures and large wildfires. -Wildfires have killed at least 80 people. With a lack of rain, bushes and trees dry up and turn into ready fuel. -On the 23rd of July, forests in the Attic region of Greece caught fire, quickly spreading to populated areas through stiff winds that reached 50km/h. As the wind carried the fire southward towards the sea, the fire devastated towns, resorts, and villages in its way. Some people have even jumped into the sea to flee the raging fire. -This is the worst wildfire in Greece since 2007, which had killed 84 people. -Soaring temperatures have reached a high of 95F in the south of England. -Britons are used to low summer temperatures---London has an average temperature of around 60. In addition, houses have been built to combat the cold, keeping the hot air in. Most do not have air-conditioners installed. As a result, indoor temperatures will rise. -Wildfires have affected England, Ireland, and Wales due to the lack of rain in the last few weeks (remember the rainy British weather portrayed in books?). Thankfully, most of it happened in deserted areas. London only received 6% of its normal rainfall. -This lack of rain threatens their harvest. -An unusually hot summer has brought about the worst drought in 74 years, and the hottest July in at least 260 years. -Fires have broken out, and the Swedish Airforce has dropped two bombs in front of some fires. Apparently, the bomb explosion burns oxygen, stopping the oxygen from fueling the fire. -France has experienced their highest temperatures since 1976, reaching over 90F in places.